The United Group Team, once again, laced up their sneakers and headed to Peebles Island State Park for an action-packed afternoon of wellness, learning and exercise at the 2018 United Group Wellness Fair. The Wellness Fair began with a scenic hike on the steep banks of the Mohawk and Hudson Rivers, followed by a healthy catered lunch from Chipotle Mexican Grill and a side of fresh fruit. After lunch, Diane Hart, a Fitness Professional and Health Specialist and Representative from BlueShield of Northeastern New York presented an informative discussion on the importance of a consistent exercise schedule and sensible eating and drinking habits. The United Group Team put Diane Hart’s words and wisdom to action by participating in exciting games and activities, including: zumba, yoga, meditation, and kickball. A massage therapist and Reiki specialist were also available to help anyone with aches or pains. While taking a quick break from all the activities, employees could speak to representatives from Voya, BlueShield of Northeastern New York, Guardian, Strategic Employee Benefits Services and Primerica who were present and ready to take questions or provide information. The Wellness Fair wrapped up with a raffle giveaway. The big winners received gift cards, gift baskets, a FitBit, Beats by Dre headphones, and a weeklong-stay at the White Face Lodge. 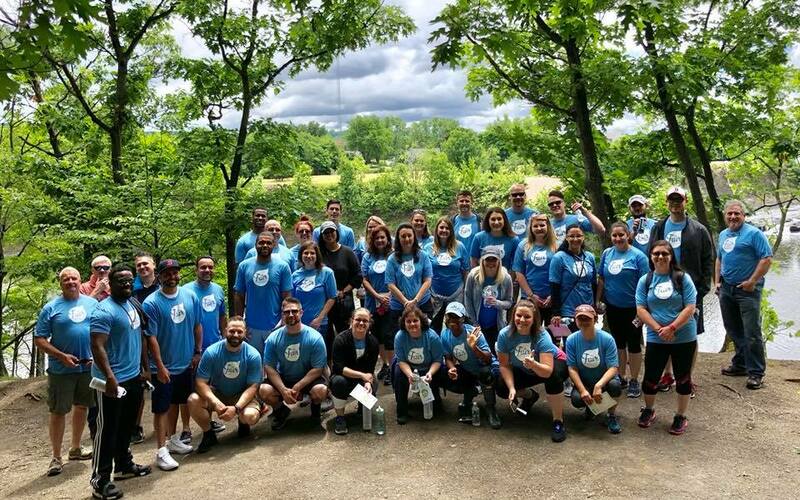 The entire United Group Team left Peebles Island State Park refreshed, reenergized, and ready to tackle life’s health and nutrition challenges!